Laser Scanning is an efficient and comprehensive solution for Land Surveying, Topographical Surveying, and Measured Building Surveying. Laser Scanning Surveying has developed rapidly in recent years with Leica, Faro, and Trimble offering high precision and affordable instruments. Design Base initially invested in Laser Scanning Survey technology in 2012 and it has become a routine procedure central to our site operation. The method particularly benefits large format Measured Building Surveying where it has proven to reduce site time by 30% when compared to Total Station procedures. It is less intrusive than traditional techniques which is useful when working in controlled and confined spaces. Laser Scanning Surveys have proven successful in the Water Treatment, Oil, and Gas for recording the complex geometry of pipework, services and support structures. 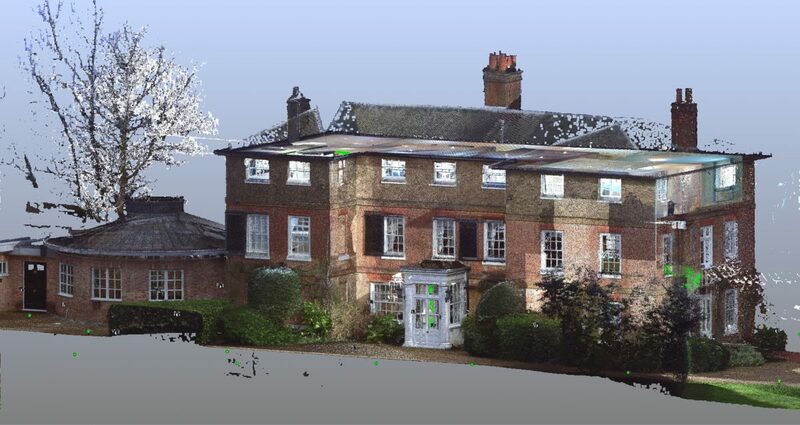 Laser Scanning Survey data is supplied as a Point Cloud. Point Clouds can be exported in many file formats and delivered on a memory device along with the 3D Digital Imagery; ready for processing in 2D CAD or Building Information Modelling software. For every Laser Scanning Survey, we construct a bespoke specification document to control site work operations and point cloud registration. You can download the Laser Scanning Survey specification below and highlight the features needed for your project. To obtain a Laser Scanning Survey quotation please send your project brief to hello@design-base.co.uk or use the online quote portal. For free advice and consultancy please call 01225 314370.